Ornaments are a perfect gift idea. They are special pieces that are often valuable and special. Here are some gift ideas to help you when you hit the shops. If you are thinking of getting an ornament for a friend make sure you find out if they have a collection of special pieces that they would like to add to. It might be that they have a collection of clocks or miniature ceramic animals that they take pleasure in collecting. If that is the case, find out the brand and the stockist information and pick out a piece. 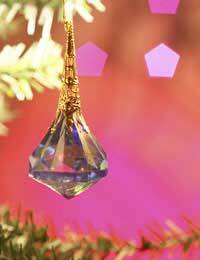 Ornaments can be anything from limited edition crystal glasses to playthings. Dolls are particularly popular ornament. They may hide in a bedroom cupboard or they may take pride of place in the downstairs lounge. They come in all sizes and shapes and in all price brackets. Porcelain dolls are some of the pricier options. The money you pay for them is reflected in the detail of the facial expressions, hair design and the clothing that they wear. They can represent different periods in history and are a great gift idea. If your friend or relative has a particular interest in the Victorian era for example, get them a doll that represents that period in time. There are some particularly well-known companies that produce some high value and high priced items that often form the staple of collections. Lladro, Royal Doulton and Swarovski are three such names. These are the brands to head to for a real treat. Items are often limited edition and rise in value as soon as you purchase them. They can be placed around the home and are real talking points that endure the test of time. If you feel like treating someone to an item like this, you will undoubtedly be thanked! Think about the décor of their home – is it quite plain and neutral in colour? Fit in with that colour scheme and get them a subtle piece that will fit the tone of their home. If the house is bright and packed with bright colour, get a piece that is just as vibrant. In terms of size, only get something that you think is proportionate to their home. If they live in a small studio apartment, keep the ornament small and delicate. If space is endless then you can really buy something as large in stature as it is in price. There are certain times of year where ornaments play a central part in the home. One such time is Christmas. The tree is decked with ornaments and many of those baubles or decorations represent a memory or a passage of time. Top jewellery houses regularly produce one-off festive ornaments that can be purchased for about £50 and under. These are highly intricate pieces that will add elegance to the home. Head to a large reputable department store and you will find a large range of handcrafted and beautiful items. Ornaments are special gifts. They should probably only be given if you know the receiver particularly well. If you know their likes, the décor of their home and their personal interests they are an ideal gift.